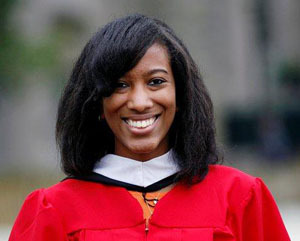 Krystle Goodwin graduated May 15th from St. John’s University in New York City with her Bachelor of Arts degree in Government & Politics. She has been working part-time here at Capalino+Company while she completed her degree requirements and will join us full time in June as the Executive Assistant to the Chief Operating Officer. The ceremony held in Queens had 2,800 graduates and 20,000 guests that attended the 141st St .John’s commencement. Congratulations Krystle and welcome aboard!